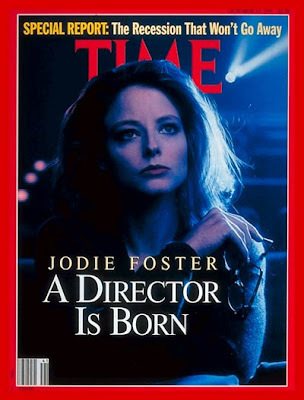 October 14, 1991 issue of Time. 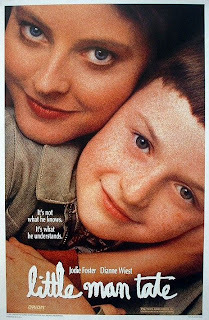 You may or may not recall 1991's Little Man Tate, the directorial debut of actress Jodie Foster (that is, is you don't count the episode of TV's "Tales from the Darkside" that she directed in 1988, which for our purposes here, we will not). But even if you remember the film, do you remember the wonderfully depressing poem recited by Little Man Tate's title character? In the film, the young actor Adam Hann-Byrd portrays Fred Tate, the genius son of Foster's working class character, Dede. Much of the film profiles the conflict between Dede and Jane Grierson (Dianne Wiest), an educator who feels that Fred's gifts could only be squandered in the environment fostered by, well, Foster's character. (You can imagine that Fred, with his intellectual capabilities, has some difficulties getting along with the other children at a regular public school.). In one scene, he recites for his classmates a poem he wrote: "Here stands Death; A bluish distallate in a cup without a saucer; Such a strange place to find a cup; Standing on the back of a hand; Oh shooting star that fell into my eyes; And through my body; Not to forget you; To endure." Far from agog, his classmates are simply left confused. Oh, well. Hann-Byrd went on to appear in 1995's Jumanji and 1997's The Ice Storm, among other films. In later years, Hann-Byrd blogged for a bit; his site was called Two Cent Cinema, although he apparently abandoned the enterprise in 2007. I can relate, so I can't blame him. 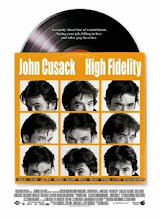 A bit of trivia: This film also inspired the name of an indie band from England: Little Man Tate. After two studio albums in the late 2000s, the members of the band parted ways in late 2009.